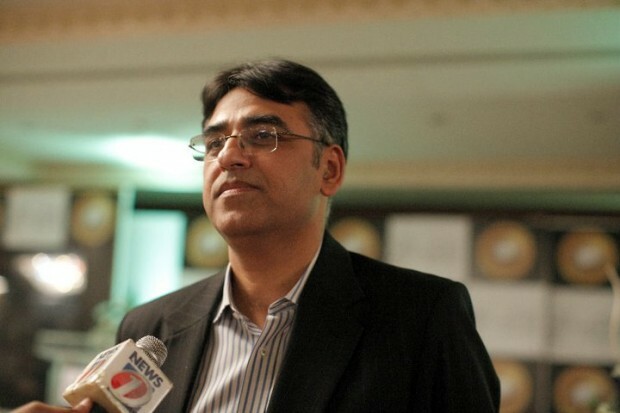 ISLAMABAD: Finance Minister Asad Umar on Wednesday said that the Pakistan Tehreek-e-Insaf (PTI) government is likely to introduce another ‘mini-budget’ to address the economic challenges facing the country. In his briefing to the Senate’s Standing Committee on Finance, Umar said the government was mulling over bringing another supplementary budget in January 2019, but no final decision has been made as yet. “An increase in taxes had been proposed but the government could consider decreasing taxes in order to boost the economy,” he said. The finance minister further said, “The government has decided to supply gas to exporters at $6.5 per MMBTU and electricity at 7.5 cents per unit,” adding that a notification would soon be issued in this regard. “The government has also decided to issue bonds for tax refunds,” he added. The key proposals in the mini-budget included withdrawal of the government’s decision to increase petroleum development levy; Rs5 billion relief to the export industry; increase in minimum pension to Rs10,000; increase in duty on expensive mobile phones; duty on 1800cc and above vehicles at 20 per cent; increase in WHT on banking transactions for non-filers to 0.6 per cent; and introduction of health cards, among others. Umar also told senators on Wednesday that financial aid received from Saudi Arabia, China and the United Arab Emirates (UAE) will be sufficient to cover the fiscal deficit for the current year. The finance minister confirmed to senators that Pakistan had received $2 billion from Saudi Arabia and the oil facility offered by the Gulf kingdom would come into effect from January. “We will receive oil worth $270 million,” the minister added. “Negotiations with the UAE are in the final stages, and matters will be finalised in a few days,” said the finance minister adding that negotiations with the Chinese are also in the closing stages. Referring to the International Monetary Fund (IMF) bailout, Umar said he had been in contact with the monetary body soon after taking the oath. He said the Finance Ministry had also asked for recommendations from the Economic Advisory Council (EAC).